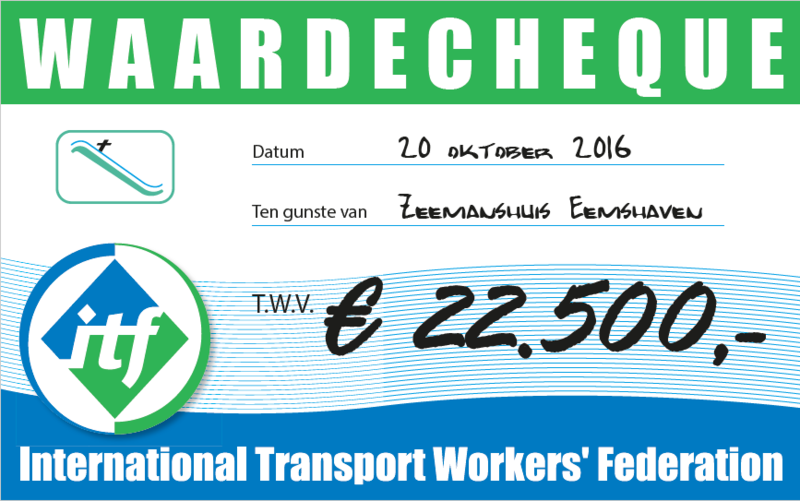 The International Transport Workers Federation (ITF) has announced that it will support the Seafarers Mission in Eemshaven with a funding of €22.500,- euros that allows the acquisition of new a new bus to transport seafarers between their ship and the seafarers mission. The announcement was made public by Bert Hoekstra, chairman of the Seafarers Mission, during the sponsor event held on Thursday. Over the last couple of months the 18 year old bus had suffered from multiple issues with its brakes, locks, tires and engine, making it clear that the bus needs replacement. Over the next few weeks the board will analyze the different brands and make a decision. The seafarers mission aims to have the bus replaced before the end of the year. The Seafarers Mission in Eemshaven is an initiative of the Merchant Pastoral Foundation Groningen. The seafarers mission is supported by nearly 30 volunteers who run the mission all year round. The Seafarers Mission offers a home, far away from home, allowing seafarers (and truck drivers) to relax in a pleasant environment. While having a drink and watching TV, they can contact their loved ones. The mission was founded in 1999 and moved to its current building back in 2004. Every year the Seafarers Mission welcomes nearly 10.000 visitors.